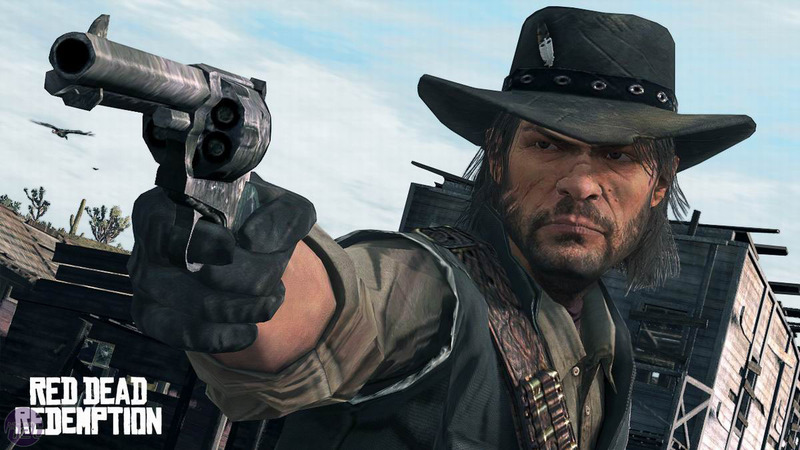 Red Dead Redemption is not, contrary to what many people are saying, a universally excellent game. It has some very definite weaknesses and, if we had to summarise them quickly, we’d say simply that it’s the narrative missions which are the main culprit – and possibly the main character too. Protaganist John Marsden may soften and turn into a sympathetic lead in the later stages of the adventure, but at the start of the game he’s a very hazily defined person. More likeable members of the cast even flatly accuse him of deliberately surrounding himself in mystery just to keep people interested – though that apparently doesn’t stop him from getting roped in to running many, many annoying little errands. That’s not to say that Red Dead Redemption is a bad game though – far from it, merely that if you’re after a compelling plot and list of activities which would fare equally well without the Western setting then you might be a little disappointed. Red Dead Redemption doesn’t have the speed or relevancy that other sandbox games, notably GTA IV, do. The good news though is that Red Dead Redemption balances this out in other areas and the more time you spend with it, the more you understand that it’s not so much a story-led adventure as much as it’s a piece of interactive character fiction. The character in question is the Wild West itself and Red Dead Redemption offers a chance for you to immerse yourself in it like no game before it has ever even attempted. It’s practically a Wild West simulator and, while you may not think that you’d be able to have fun shooting rabbits in the desert after the heady thrills of GTA’s car chases and gang wars, we promise that it’s true. 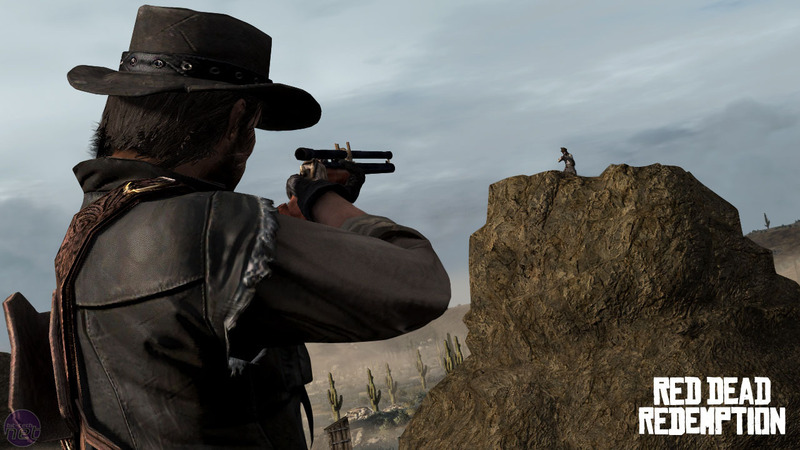 It may sound bizarre that Red Dead Redemption’s star attraction should be the West itself, rather than any of the characters, but it’s not totally unexpected. There aren’t many games which take advantage of this iconic setting, and only one springs to mind as ever having done it justice – so it’s a rather obvious success for something which is, if judged cynically, ‘just another sandbox game’. The way Rockstar has presented the charms of the West easily stands above other aspects of the game, such as the mission designs and characters. I'm hunting Wabbits. Or not. And, to clarify, it’s not that John Marsden’s character or the jobs he ends up running off on for the local sheriffs are all that bad. If you invest the time then Marsden’s tale, which basically sees him having to hunt down and kill the members of his former bandit gang, is quite a good one. The writing is fair and irreverent, with Rockstar delving into the darker areas of the plot with typically reckless abandon. On the other hand though, there’s a definite feeling that the story is being dragged out a bit longer than it strictly has to be and that maybe Marsden’s character is one we’ve seen before in other games, films…books, TV series, etc. That’s not to say there aren’t highlights though and there are plenty of side characters, like ranch owner Bonnie McFarlane who’s introduced early on as a law abiding equal to John, and who proves to be brilliantly written and realised. Still, it’s the Wild West itself which truly interests us and which Red Dead Redemption does the best at conjuring up – it’s gritty, vast, harsh and beautiful all at once. Most importantly, it’s not empty either which, given the vast stretches of desert that are an integral part of the setting, will have been a real worry for some fans. As it turns out though some of the best parts of the game are to be found when you’re just travelling across the mesa. There are animals to hunt and skin, treasure maps to decode, bandits to fend off, merchants to rob and random encounters to chuckle at – each of which comes with a consequence. Needs more time for spit 'n' polish.